If all you did after the CNY binge was resume your exercise and diet as before, you’d be justified in patting yourself on the back, even if it means a much longer time to burn off those excess calories. However I’m guessing we want more! Stage 2 is where you add little extras to both your exercise and diet plan… AFTER you’re firmly back on track by resuming your pre-CNY habits. They are what you’ll use to get rid of those extra calories just a little more quickly. Some of these are stratagems we’ve seen in the Pre-CNY Battle Plan discussion. Others are new additions. Even though you’ve returned to your previous exercise program, you have that extra CNY calorie surplus to get rid of. So you’ll need to increase the amount of calories burnt, above what your usual workouts give you. For example, if your regular exercise programme targets 300kcal cardio goal per workout, you can increase that to 350kcal. This may not sound like much, but this extra will accumulate, and it’s doable without increasing your efforts too drastically. The most obvious way is to increase the time spent doing cardio, but that’s not ideal. Your time is finite, and even if it wasn’t you’d get bored just adding minutes to your cardio. We’re not going crazy. Going to extremes without conditioning are always a bad idea because now you’d have to worry about injuries. That’s the problem I see with popular programs like P90X. What we’ll do is add intermittent bouts of increased intensity. With the elliptical machine as a cardio example, here are a couple of methods I teach my clients. Suppose you normally do 30min on the elliptical at 90RPMs with resistance level 2, a moderate intensity for you. This is called steady state cardio (you are maintaining the same pace and intensity all the way). Again, suppose you normally do steady state cardio of 30min on the elliptical at 90RPMs with resistance level 2, a moderate intensity for you. For the staircase method, you will keep speed at 90RPM. But you’ll go up in intensity in a stairwise manner like this. In both these methods, because you maintained your RPM at 90, and spent some time higher than level 2, your overall rate of work had to be higher than your usual steady state of level 2 throughout the 30min. More work was done, so more calories burnt in the same time. Now, exercise is good, but even if you do it two hours every day, what about the rest of the 12+ hours you’re awake? I have seen good results in clients who maximise their NEPA (Non-Exercise Physical Activity) and I encourage you to do the same. Aim to maximize movement outside of your ‘official’ exercise sessions. C2 Opportunistic Exercise from the CNY Defence Strategy Part 2 is a good start. Do as much physical activity as possible to accumulate calorie expenditure, however small. In addition, here are two more ideas. Get a pedometer: This is one of those devices that estimates your step count. Are they 100% accurate? No they aren’t! But what you want is to establish a baseline. 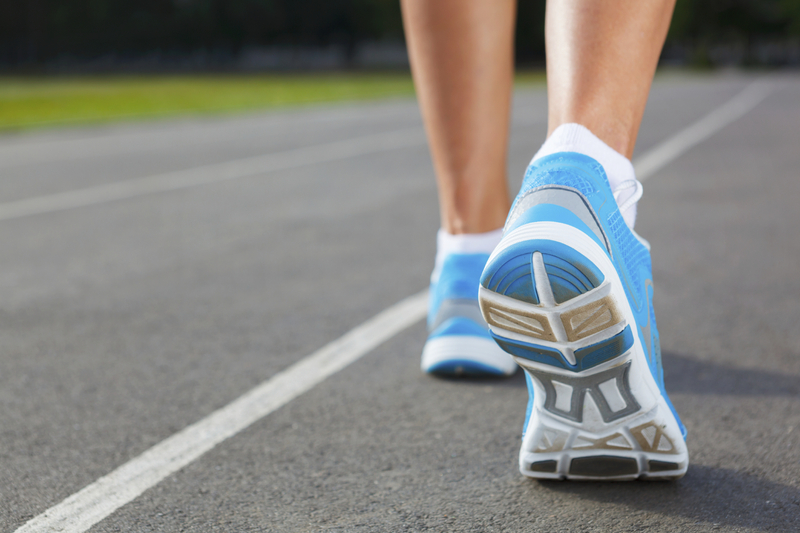 What is your step count as estimated by the pedometer over a period of seven days? Say you typically average 5000 – 6000 a day. If you make an effort to increase your walking, and the next week, it averages 5500-7000 a day, you’ve increased your activity. What many people find motivating is having some sort of target to achieve and record to beat. I personally use a Fitbit Flex that my brother gave me for my birthday. It’s not 100% accurate, but even for me, seeing those numbers serves as a reminder to walk when possible, and gets me up from the desk once in a while to bump those numbers up a little. Get dancing: One bugbear of structured exercise is the regimented feel of it. As much as some people love the gym environment, others absolutely hate it. It feels restrictive and sterile, and is a huge impediment to many people getting exercise. That’s why when I create a workout plan, I ensure the sessions are fun and stimulating, with plenty of elements to keep clients engaged and avoid staleness. I also recognize that many people do much better with fun and games. That’s why I also recommend activities that don’t look like exercise, but are nonetheless physically challenging. Of these, dance ranks near the top of my recommendations. As someone who dances salsa, I have observed many people over the years get gradually slimmer just from dancing and little else. There are also many other benefits to dance as well as ideas in my article Movie Motivations to Move Part 1. Now let’s consider diet, which is the most important part of losing weight. Food is often the Waterloo of many an aspiring healthy lifestyler. It would be the perfect poster child for the phrase “The spirit is willing but the flesh is weak.” This is especially so in Singapore, where we just love to eat, and we’re spoilt for choice. Absolutely spoilt. First, get back onto which ever healthy diet you were on before CNY. Then, read the following stratagems from the Surviving Chinese New Year: The Defence Strategy articles. Finally, consider these additional ideas. Craving Count: You can get hunger pangs without actually being hungry. Or it might be a transient craving for a certain food or soft drink. Do what I call a Craving Count. When you get those urges, set a time, maybe 5 or 10min, during which you try to focus on other things. If you’re still feeling hungry after that, then eat something. Intermittent Fasting: If you’ve worked on this with me before, or have done it yourself successfully under a coach, the post-CNY period might be a time to initiate a round of it. Otherwise do not mess with this unless you have a mentor or someone to advise you. Subtle Substitutions: If you cook, it’d be anathema to skip flavouring and condiments. I’m not asking you to because I know how unrealistic – and undesirable – it is for people to eat boiled chicken breasts for their meals to get in shape. That flavourless option isn’t living a Full Life to me! Instead, learn to make healthy substitutions. There are many resources, books and online, that teach you how to substitute ingredients in recipes for healthier versions. This saves you calories, sugar and fat. Calorie Awareness: I’m generally not a fan of calorie counting (see below). However it’s a good idea to know the cost of your indulgences. A half bar of kit kat you might be sneaking in as a ‘tiny’ snack. Three M&Ms that seem ‘harmless’. That half can of 100-plus that ‘should be ok if I exercise today’. That way you’ll know what each lapse costs you, and weigh it mentally against the goal you are trying to achieve. You’ll realise how you are sabotaging your efforts and this knowledge will help with curbing the temptations. A lot of people count them, and get obsessed with the calorie count of every morsel of food they eat. Not only does it become cumbersome and restrictive, it tends to stress people, make them anti-social, and develops an obsessive compulsive attitude… all of which go against the aim of the AA35 Philosophy, which is to have a full, happy Life. I prefer teaching people to respect general principles first rather than bog them down with too much detail that make them give up. By focusing first on quality as opposed to quantity you will be able to eat in a healthy and sustainable way with choice and flexibility, not confined by a straightjacket of rules and numbers. So there’s a simple process that should help you get back to fighting form after the damage from CNY, and indeed from any other festival feasting. Don’t skimp on the first steps on setting the mind. In my experience, those who start action first without a mindset and a plan are those who burn and fizzle out. Unfortunately, despite what the Internet fairies may tell you, there is no magic pill, diet, or workout secrets from China that can get rid of calories faster than science tells us is possible. It takes hard work and both brawn and brain. Always remember the big picture. Ultimately, why you’re exercising and eating right is really about YOU – your growth and happiness. You are on an ongoing journey that never ends, not even when you weigh x kg or lose y inches from your waist. What you learn about yourself as you strive to be fit and healthy, overcoming challenges, distractions and temptations, and the possibilities for success and experiences that opens up as you go from strength to strength, is priceless. Most people never lose the weight they gain over festivals so each year they’re fatter than they were a year before. Even worse, they never lose the habit of increased snacking, so that compounds the problem. By embarking on this mission, however daunting it may seem, you are taking the steps to making your health, fitness, and physique goals a reality. And you will not become one of those casualties.